Sant Andreu de Llavaneres is a quiet village situated 36 km north of Barcelona. It has a privileged location making it one of the gentle Mediterranean Sea and the Coastal Mountain Range. And it is that its name implies, Llaveneres means Serene Valley. Tranquility, Sun, pleasant temperatures both in winter and in summer and be able to enjoy the proximity of Barcelona, as well as its good communication: motorway, N-II and line 1 Renfe railway. Do you like golf, do you prefer surf or take the bike? In Sant Andreu de Llavaneres you can enjoy these sports as well as its cuisine. Do you know the ‘coca’ of Llavaneres? You’ll love! And their sweet peas? You will be surprised… have you ever seen the modernist houses in the village? Real gems of architecture. Tradition and modernity merged to live comfortably in a quiet, selected and care village, but with the advantage of enjoying a cosmopolitan city like Barcelona. Modernity and multiculturalism are two essential characteristics which gather in the kitchen of the restaurant Fuzion, whose menu has been conceived as a melting pot of culinary traditions from the gastronomic experiences of their owners travel all over the world. Located opposite the port. Enjoy the best European cuisine. Seasonal cuisine using the best products of each season. It is a Manor House rebuilt as four star country house hotel. 11 luxury rooms to enjoy the climate of the Mediterranean coast. From the rugged hillock where is located the Castell de l’Oliver Hotel currency to fund the blue of the Mediterranean, thus breaking keys green of pine and cork trees that surround the farm.You will find the ideal spot where to spend a romantic holiday in this castle built in the 1619 on the Mediterranean coast. Old farmhouse-Castle of the 17TH century. Hotel and Spa located in a privileged area of the Catalan coast. Avant-garde style and in first line of sea, Hotel Colon is a 4-star that offers 84 rooms: 21 standard with mountain views, 54 with terrace and sea views, and 9 suites, all fully equipped with room temperature regulator, minibar, safe, hairdryer, free WIFI Internet connection and direct dial phone service. It is the only hotel in Barcelona that combines thermal water and sea water in the typical treatments and Spa therapies. Llavaneras Golf Club was founded in 1945 and is located 34 km from the Centre of Barcelona. It is a familiar and welcoming nature Club, whose priority is to achieve excellence in the services it offers and attention to the partner and the visitors. The Golf Club Llavaneras offers a demanding 5.028 meters. The Club House offers all visitors services of bar-restaurant, changing rooms, golf shop, games room and TV room, as well as the hire of golf cars and electric trolleys. 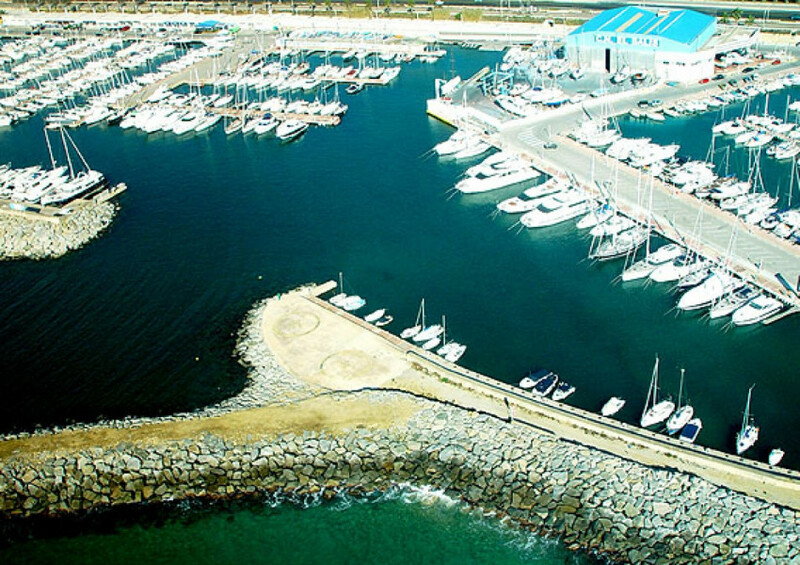 Port Balís is located in a strategic point in the Mediterranean and it is ideal for routes to the Gulf of lion and the Costa Brava that come from the South or the Balearic Islands and the Costa Dorada from East and Northeast. It is located in a privileged area of the Maresme Region, next to the villages of Sant Andreu de Llavaneres, Sant Vicenç de Montalt and Caldes d’Estrach. Its mild climate and the beauty of its landscape have made it since ancient times, an ideal place for holiday break and to set up second homes. Yacht Club El Balís offers all the comfort that you may want to after a long journey: bar-restaurant, TV, game and two paddle courts, gym halls, as well as an outdoor swimming pool of salt water. HJAPÓN helps you to find the home that best suits your needs and your dreams. to buy or rent a house. If you are looking for a Villa, a farm or a floor on the coast of the Maresme our real estate offers you endless possibilities. Sea or mountains. Find your home and enjoy it.